Let's Take the Family to Yellowstone! Let’s Take the Family to Yellowstone! One of the most prominent travel trends the past few years has been the growth in multi-generational travel. This is when the grandparents, their offspring, and the grandchildren all rent a villa, take a cruise, go camping, or embark on an adventure together. For me there have been a few over the years with both sides of my family, from campgrounds to beach resorts. Our contributor Chantae Reden has a family that has turned this into a regular tradition in the open spaces of the western USA. Every year, my family ventures up the San Juan arm of Lake Powell on a houseboat trip. It’s one of the only times — aside from weddings and funerals — that we’re able to spend time together building memories as a group. In between fishing, swimming, stargazing, boating, and hiking, we share stories and debate ideas. My great aunt and uncle offer skiing tips and relationship advice while my younger cousins see how far they can kayak before getting called back to the group. Some of the family members sleep inside the houseboat, but most of us prefer to sleep on the top deck side by side under the stars. These trips to Lake Powell started with my great-grandparents and is a tradition that we’ve kept up ever since. We enjoy spending uninterrupted time together without the pressure of thinking about work or the daily stress that awaits back at home. Spending all day everyday together leads to all types of conversations though many of us fall on opposite sides of the belief spectrum. These trips give us a chance to know one another better in spite of our busy schedules and non-family commitments. Whenever we go a long time without seeing one another, I look forward to catching up on the lake. The western states of America offer plenty of great bucket list opportunities to share the splendor of nature while finding plenty to do for three generations. This country is blessed with some fantastic national parks that have plenty of space to spread out. If you’re not going to stay in one place (or travel on a boat), one way to be sure your multi-generational trip goes smoothly is to connect with an experienced tour company like Austin Adventures. 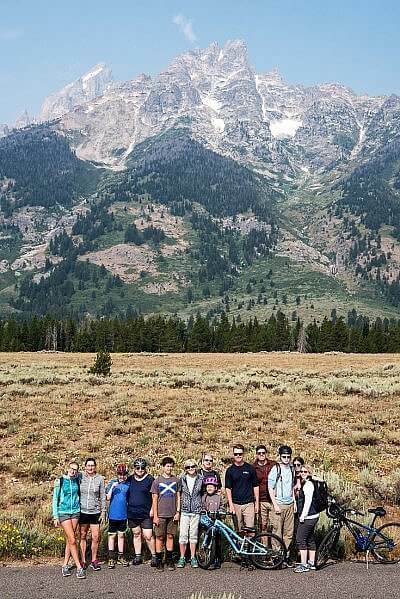 They lead Yellowstone family trips that will take care of the details instead of leaving one person in your group burdened with all the planning and logistics. The reasons some people shun these trips is they’re worried about the logistics and the potential for disagreements. By putting the nitty-gritty planning and trip execution in the hands of someone else, the whole trip can be a smooth one for all ages. This tour company is based in Montana and has been running trips since 1995. Yellowstone National Park was the first family trip they offered and it’s still one of their most popular. There’s plenty to get kids excited here, from geysers to bears in the wild. Kasey Austin, daughter of the founder and head of operations now, says people who haven’t been to Yellowstone don’t realize how vast it is. When most people think of Yellowstone, they think of Old Faithful geyser – which is an iconic site in the national park that can’t be missed! What most tourists don’t realize is that Yellowstone is made up of 2.2 million acres and the park offers more than 900 miles of hiking trails. 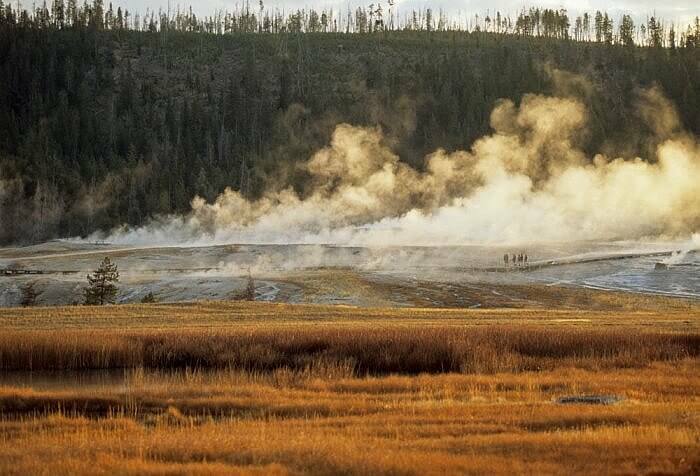 Yellowstone seems crowded to those who visit iconic sites like Old Faithful, Grand Prismatic, Mammoth Hot Springs and the Grand Canyon of Yellowstone because that’s where everyone flocks to when they don’t know where else to go to escape the crowds. When you leave the parking lots and the boardwalks behind, it’s likely you won’t see another soul on many of the trails throughout the park! 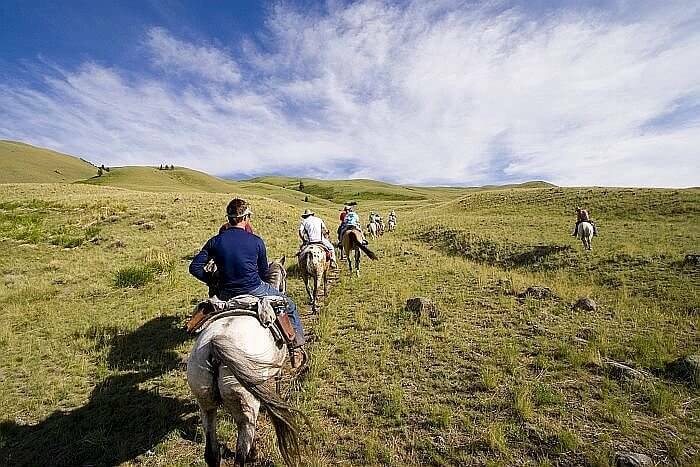 When you experience a big national park like this with an experienced tour guide, someone who really knows the terrain and the obstacles can make sure everyone of every age is able to take part in activities. They can divide the group up or offer a hard-core and easy option that both end up in the same place. This way no family member has to take charge and boss people around (with all the historic baggage that might come along with that). An independent, caring guide can make sure everyone is getting a great experience. Plus he or she has first aid training in the rare event something goes wrong! A typical Yellowstone National Park family trip will include active pursuits in the way of hikes, rafting, or bike rides, trips in a van, and plenty of downtime for relaxation and enjoying treats in nature. You’ll soak in hot springs and have the chance to spot elk, bear, and bison while staying in a lodge with a real sense of place in the USA’s oldest national park–which is also the world’s oldest national park. Established in 1972, it’s one of the few UNESCO World Heritage sites located in the USA. (We are lazy about applying, apparently). For more information, see a full Yellowstone family adventure itinerary here and click the other tabs for testimonials and photos. Who would you take along on a multi-generational adventure in a national park?